The Dodgers won a game! Can it be so? Actually, the Dodgers looked pretty moribund through seven innings, quiet following a leadoff (?) home run (?) from Chase Utley (?). Carlos Frias gave one right back to Paul Goldschmidt to deadlock the teams at 1. But in the bottom of the eighth, the zombie Dodgers came back to life. Jimmy Rollins reached on a bunt ground ball between first and second; Ronald Torreyes sacrificed Rollins over, and Chase Utley doubled J-Roll home for the lead. One batter later, Corey Seager launched one just past the right field foul pole into the lower deck, giving the Dodgers the 4-1 lead. Meanwhile, the Giants lost in the ninth inning to the Padres on a walkoff Jedd Gyorko single that scored Matt Kemp and his beard (only one run was awarded). The Giants had battled back to tie it in the top of the ninth on a wild pitch, but lost in the bottom of the frame when Bruce Bochy's 11-pitcher roulette game finally ended with Santiago Casilla giving up the final hit. 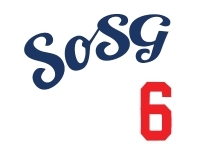 Magic number is 5, with a day game tomorrow!